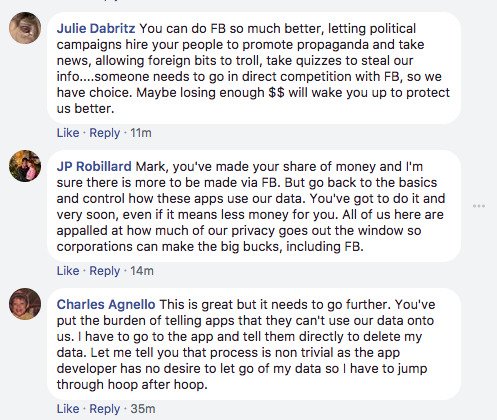 Commenters on Mark Zuckerberg’s Facebook post addressing the Cambridge Analytica scandal are largely sceptical. Although many commenters are happy Zuckerberg said something in the first place. 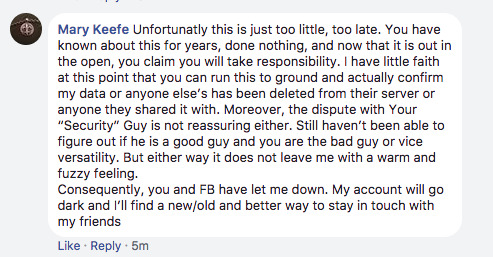 It has taken about 5 days for Zuckerberg to respond to the scandal. Facebook CEO Mark Zuckerberg has responded to the Cambridge Analytica affair that has embroiled the social media giant in scandal for the past week. The response, which came in the form of a Facebook status update by Zuckerberg, brought a flood of comments from Facebook users – 14,000 at last count. Many of comments expressed support for Zuckerberg, or offered constructive suggestions about the situation. But many were also sceptical of Facebook and Zuckerberg, underscoring the toll the scandal has taken on Facebook’s image. Commenters also questioned why it took Zuckerberg roughly five days to respond himself. “When will someone in Silicon Valley ever be proactive about problems like this?” one commenter wrote. Some of the comments are also positive, and applaud Zuckerberg for taking responsibility as the public face of the company. Facebook has come under fire for its handling of a leak that allowed a Trump-linked data firm, Cambridge Analytica, to improperly obtain data from 50 million Facebook users. 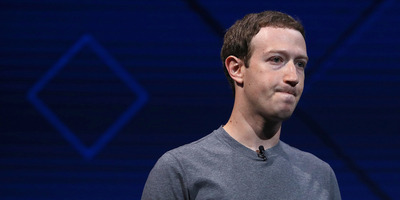 Facebook confirmed it knew about the unauthorised data two years ago, but only came forward publicly after reporters at The New York Times and The Observer were preparing to publish stories about the leak. The scandal has prompted the hashtag #deletefacebook to trend on Twitter. Calls for quitting or regulating Facebook have gotten the support of celebrities, including Jim Carey, as well as Bryan Acton, the cofounder of the WhatsApp messaging service that Facebook acquired four years ago.